A day after returning from a victorious India A campaign in Australia, Karn Sharma was relaxing with his family at his home in Meerut. Suddenly, his phone started to ring continuously with friends and well-wishers (and obviously journalists) flooding him with congratulatory calls. It took Karn a little while to realise that he had earned his maiden call-up to the India limited-overs squad for the England series'. Once it sank in, the Railways and Sunrisers Hyderabad legspinner said it was an "inexplicable feeling". "Since I had fared quite well in whatever opportunities I got, I was hoping that my efforts would be recognised." Karn told ESPNcricinfo. "It's an inexplicable feeling now that my efforts have been rewarded with a place in the India squad. I am glad the day has come but I will treat it as a fresh start and hope to continue doing what I have been doing all these years." Karn got only three games in the quadrangular one-day tournament in Darwin, his first series for India A. He displayed his allround skills against South Africa A, taking 2 for 35 in ten overs before cracking an unbeaten 39 off 16 at No. 9 to take India A home off the penultimate ball with one wicket standing. Karn said he knew he had to utilise whatever opportunities he got in Australia. "It was an overwhelming experience, the first time I played for India A. This was the highest standard I was playing at and I didn't want to let myself and the team down. I knew since I was touring with the India A squad for the first time, I had to be patient till I got my chance and make the most of it once I got it. I am delighted that I could do it and contribute to the team's cause. When I was walking out to bat [against South Africa A], I knew that this could well be the only knock I will get in the tournament. Fortunately, all the shots that I tried came off that day." The knock also drew praise from Abhay Sharma, the India A fielding and wicketkeeping coach. "He can grow into a very good one-day allrounder down the order," Abhay said. "He is the kind of batsman who will get you late runs under pressure. That is the how we have tried to develop him. He won us that match against South Africa A." Abhay, also the Railways coach, has been working with Karn from his junior-cricket days with the domestic side. Abhay said he had been confident over the past five years that Karn would make it to the India side one day, especially as he learned to bowl under pressure. "Initially he was a batsman who could bowl. But we saw that he adapted very quickly. 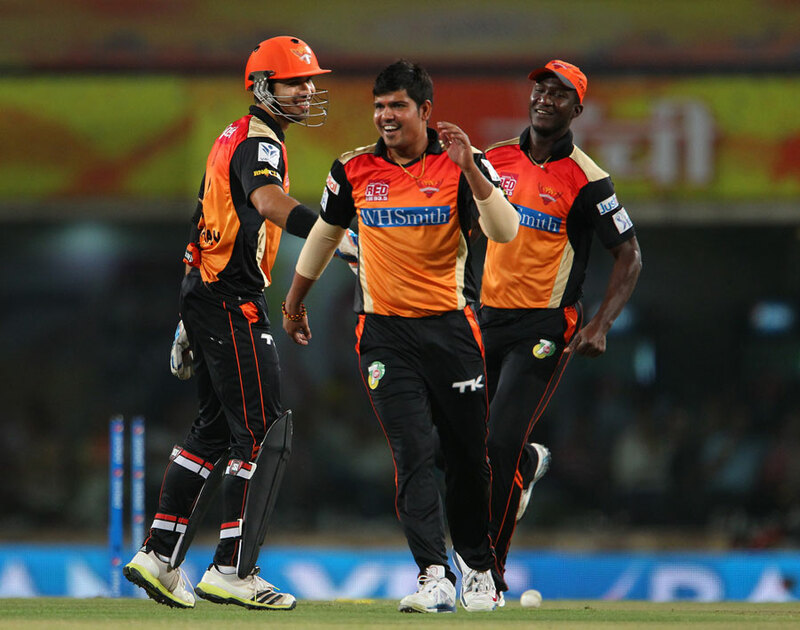 According to me, he is one of the best spinners in the country in limited-overs," Abhay said. "We always knew he was going to make it. The skill part has been there, but what we have worked on with him is how to handle pressure situations. There will always be pressure in international cricket. "He is now able to bowl in the Powerplay and at the death. We have seen what he can do in the IPL. It is because he bowls wicket to wicket. We have worked with him on the slider and also on getting the ball to drift in and then turn away, which is a difficult delivery for the batsman." Railways players have to make do with modest facilities compared to cricketers with state associations, and Abhay said that had only sharpened Karn's approach. "He is always focused on the game. Even if you make him sleep in a simple dormitory, he will not bother about that at all and retain his focus." Amol Karhadkar is a correspondent at ESPNcricinfo. Abhishek Purohit is a senior sub-editor at ESPNcricinfo.